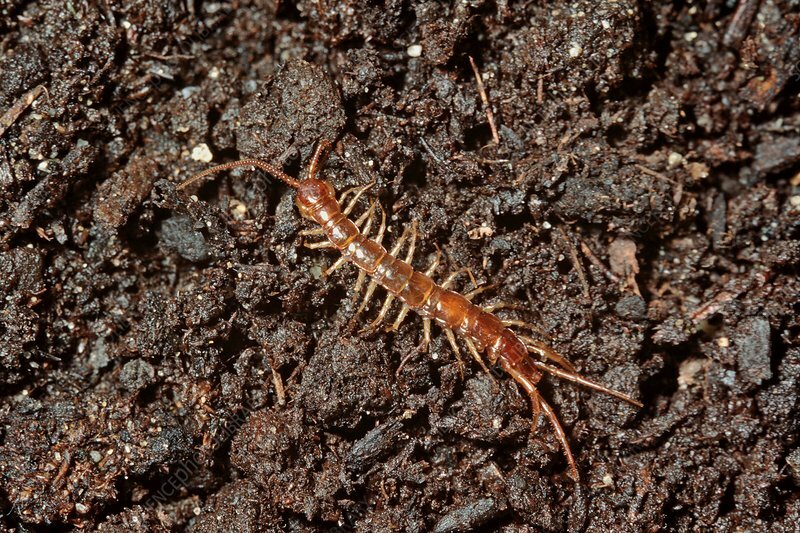 Brown centipede (Lithobius forficatus) on the ground. This arthropod is common throughout much of Europea. It reaches between 18 and 30 mm long and up to 4 mm broad.